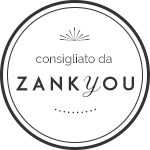 Eclectic and innovative wedding planner, Elisa Prati is synonymous of elegance, style, and creativity in the organization of exclusive events and weddings in Italy. Her clientele is sophisticated, discerning, loves beauty and looks for a professional wedding planner attentive to their tastes and requirements. Most of the clients are surprised by the extraordinary Italian wedding venues and exclusive services that Elisa Prati can offer. Last, but not least, Elisa Prati works only with the best partners and suppliers, guarantees total transparency on prices and fees. After finishing her studies in communication, graphic design and fashion design, Elisa Prati worked with event and fashion agencies and important fashion and wedding companies. In a short time, she was ready for the creation of her own wedding and event studio, a bespoke atelier for the organization of luxury weddings and events in Italy. Specialized in luxury destination wedding and events in Italy, Elisa Prati developed relationships with the most important Italian and international wedding planners and events planners. The great passion and the enthusiasm that Elisa Prati transmits in the organization of every event, the inexhaustible research of beauty and excellence are energizing. She has an eye for the details, the style and the exclusivity of a service. Elisa Prati is very empathic and is able to understand the dreams, the fears and needs of a couple in a very short time. Couples decide to entrust her with the organization of their wedding in Italy because she can interpret people’s words and materialize them into beautiful events. Her refined creativity is what makes Elisa Prati more than a wedding planner and what makes newlyweds and long-time couples very happy with her services. Elisa Prati is very social and is a lover of conviviality. Elisa Prati also loves the Italian wine and food traditions, the art and the Italian culture. She is an enthusiast of traveling and transmits all her passion and enthusiasm, with the love for Italy and for the Italian style in the organization of every wedding in Italy. Every event exceeds the expectations of her clients. Simple and classy details are what make Elisa Prati’s work very unique. She never goes for the easy way, she aims at perfection with a dash of magic to create timeless emotions. Elisa Prati wedding planner and events is a member of AFWPI, an international community of wedding planners and event professionals, providing education and support for wedding specialists. 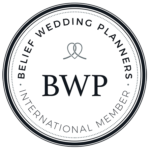 In 2018, Elisa Prati became a member of Belief Wedding Planners (BWP), an online community that connects wedding planners, discusses best practices and promotes weddings in different countries. As a professional network, Belief allows members to meet and collaborate worldwide. Both associations promote cooperation between members and encourage wedding planners to base their work ethic on diligence, loyalty, impartiality, transparency and honesty. If you choose Elisa Prati’s team to organize your wedding in Italy, you will receive professional care in respect of the Code of Conduct of the Associations.